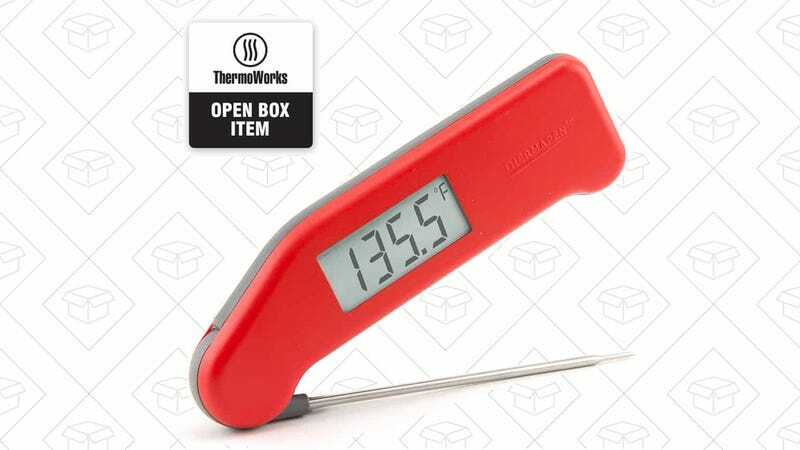 You can get our readers’ favorite meat thermometer for $63 ($16 less than usual), as long as you don’t mind that the box has been opened. You guys love the Classic Thermapen because it displays the temperature in 2 - 3 seconds, and is accurate to within 0.7°F. What does Open Box mean? According to the website, Open Box items include sales demos, customer returns, cosmetic seconds, slightly damaged packaging, and refurbished units. But, they do include all the usual instructions, calibration certificate, and a full warranty. They have a couple of colors to pick from, but supply is limited, so don’t wait for this deal to cool down.